Wilson’s is a beautiful place for you to have a great time while discovering beautiful plants and products that will delight your senses. We have full displays of the newest and best colorful plants that will energize you to garden. Interacting with our staff is a pleasure as they are friendly and knowledgeable. Relax as you browse through our gorgeous display gardens during the season. You can trust our people to treat you right and give you the advice to succeed in your gardening adventure. 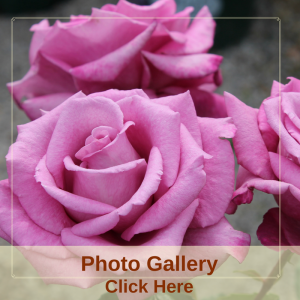 We love plants and people and sincerely desire you to be successful in your gardening and decorating efforts. 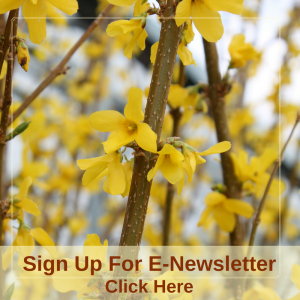 We have experienced professional Certified Ohio Nurserymen who can place the right plant in the right place for your maximum success. 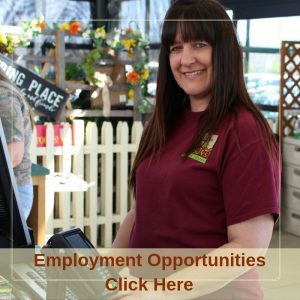 You will find shopping at Wilson’s relaxing, fun, and personally rewarding as we strive to make your efforts enjoyable and your workload light. “WILSON’S GROWS”–We grow many of the plants we sell right here on our farm for freshness, healthiness, and a distinctive selection. 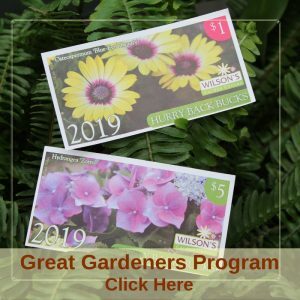 Wilson’s has over 2 acres of greenhouses that are stocked full of annuals, perennials, shrubs, herbs, fruit plants, vegetables, interior plants, and more. We lovingly care for these plants because we know that well-cared-for plants will grow the best for you. We regularly have a fresh supply for you to choose from. Plants that are grown locally are also more adapted to our local environment. Additionally, more of the money you spend on locally grown plants stays in the community, too. 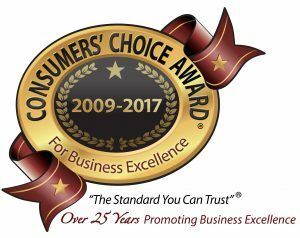 We are honored to be selected as a Consumer’s Choice Award Winner for Central Ohio for the past several years as well as one of the Best of Licking County for 2017. We thank you for the opportunity to serve you. My favorite Garden Center! Friendly, helpful, and great selections! My home away from home! 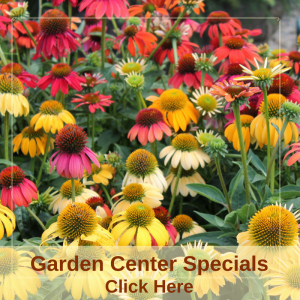 Beautiful annuals, perennials ,trees, & pond plants and accessories! Last thing I got was a really cool glow in the dark branch of multiple hummingbirds! Love this place and is extra special because my Mama Bear work’s there!! It’s a great place, always has what I am looking for.. I love this place!! They have the best selection and everyone is so knowledgeable and helpful! Thank you!!! We never get our veggies anywhere else. They are trustworthy and knowledgeable. The staff is always nice and very helpful. Liked it way too much. Spent more than I should have. But flowers are good quality. The sales people are really helpful and smart! I love this garden center! The plants are beautiful and the selection is great. The employees are so knowledgeable and helpful, especially Rita. She took so much time helping me find exactly the type and color of flowers I wanted. Beautiful place to go for hanging baskets and flowers and other items. Great people, very friendly and helpful! Will definitely be doing business there again.. This place has lovely flowers, great people working there, helped us make a good decision on what to plant! 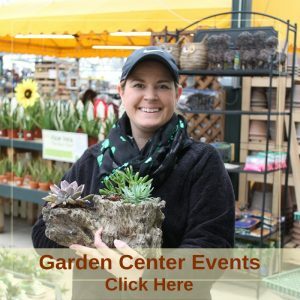 Great place to shop for plants and supplies. Always impressed with my purchases. Best quality products and customer service… pleasurable experiences. Love to browse in such a happy environment. You can never have too many flowers. I love going to Wilson’s. You are surrounded by beautiful flowers of many colors, sizes and shapes. I am always there a couple hours. Everyone is so helpful. They do it with a smile. I love going here. 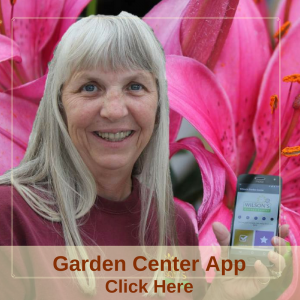 It is a wonderful garden center! It is a gardener’s paradise! I love to see all of the wonderful plants and get so many great ideas. The people who work there are friendly and very knowledgeable. I could spend hours (and have) just browsing. It’sÂ like the library; it’s the plant library! Amazing place! Full of ideas. Great prices and wow factor on variety. A true gardeners paradise and more than nourishes the soul. Well worth the drive. Just walking through the aisles of beautiful flowers and plants uplifts ones spirit. Such a wonderful place to work. The plants are amazing. Recommend to everyone. Amazing place, amazing staff. Greg walked us around and helped us design our new landscaping and helped us stay within our budget! Our first visit to Wilson’s and we loved it! I have always wanted to stop on our way out to Flint Ridge and so happy that we did. Great selection of veggies, flowers and herbs. Everyone is very friendly and Abby took the time to help us out choosing the tomatoes for our growing selection. Thanks again and we will definitely be back! Wilson’s is the best! They are very friendly and helpful! Have an awesome variety of plants and great ideas how to display them too! Love Wilson’s Garden Center! They have a huge variety of healthy plants. The workers are very helpful in picking out landscape plants. I’ve been going to Wilson’s for years, it’s worth the drive. First time trip will go again and again. Great variety of beautiful plants. Wonderful atmosphere with lots to look at ranging from perennials to annuals… indoor plants.. tiny fairy gardens… Mexican art… on and on… excellent quality and service! Wilson’s is a beautiful store and has a great staff. The hard working elves at Wilson’s did a fabulous job crafting the Christmas wreaths for St. Edward’s. Thank you so much! Beautiful grounds, displays of plants, fun and informative classes for all ages, very pleasant staff and quite helpful. Worth the drive. Fun events, these are appreciated! The sales people very nice and knowledgeable. Great class on landscaping. Can’t wait to bring in my layout and their suggestions. I drive from Dublin to Wilson’s because of the customer care and the people who work there. The information I get from the people who work, and it just a great place to walk around it. Just got back from there with my ferns that I bought on sale!! Just one of my many trips over the season!!! Its amazing how I can spend that much time there and find something new every time I go!! Also had a great cashier!!! Wilson’s is simply awesome! It is family owned and operated, located across the road and not far from the Longaberger Basket building. Worth the trip just for the beautiful atmosphere. A big step up in quality and selection from the big box stores. Buy local!